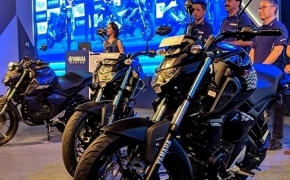 Yamaha Motors launched their starter MT series bike the MT-15 in Thailand. 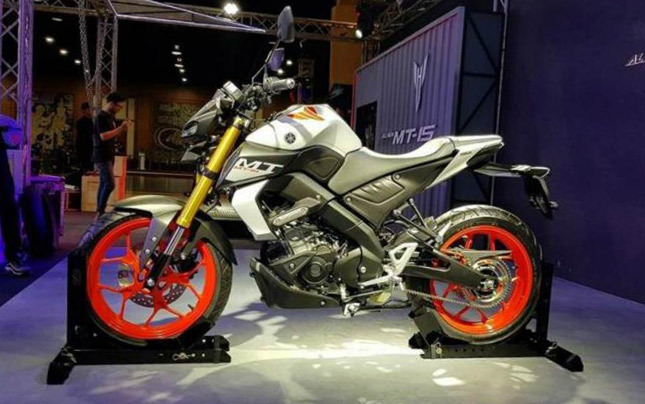 The bike looks like a scaled down version of MT-09, with its iconic headlight, sculpted fuel tank, and overall naked look. This version of the bike has received a host of performance upgrades along with a few cosmetic ones, let’s take a look at all of them. The first thing to notice here is the golden coloured Upside down forks that look stunning from every angle. Front Suspension is 41 mm thick, while at the rear, we have a single pre-load adjustable monoshock. The Engine used on this bike is a 155 cc liquid cooled SOHC unit which makes around 19.3 HP and 15 Nm of torque. The engine is fuel injected and features Variable Valve Actuation (VVA) for more low down torque and easy riding in bumper to bumper traffic. 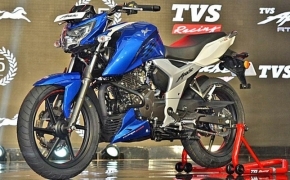 The specs mentioned above look similar because the engine is as same as the Yamaha R15 V3. The bike uses a Delta box frame and has disc brakes at the front and rear. The instrument cluster is also inspired by the Yamaha R15 V3. The front LED lights look menacing and are in the territory of KTM Duke 390’s headlights in terms of uniqueness. Since it is a naked bike, a lot of the mass of the bike is focused at the front while the rear section looks minimal. Judging from the tyres, they look as same as the R15 V3, with a 100/80 section tyre at the front and a140/70 tyre at the rear. Wheels at both ends are 17 inches. Yamaha can launch this bike in India but it’d eat away the market share of FZ-25 and R15 V3 as MT-15 has almost similar performance. Yamaha can also choose to use the technology offered in the new MT-15 and deploy it in the next generation of FZ 3.0. So as far as Indian launch is concerned, there is nothing but uncertainty. Speaking of FZ 3.0, where is it? It has been a good amount of time since it was updated the last time and we are just now getting a rear disc for it. Let’s hope that Yamaha can deliver again with this series.